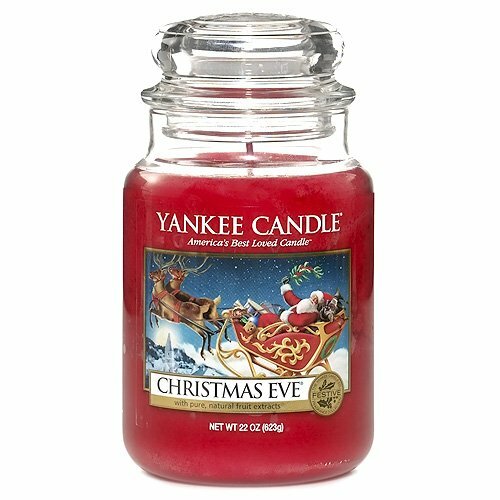 On the 4th day of our #12daysofchristmas giveaways we are giving away a large Christmas Eve Yankee Candle to one lucky winner! With 110-150 hours of true fragrance enjoyment this traditional Christmas scent is a signature classic. 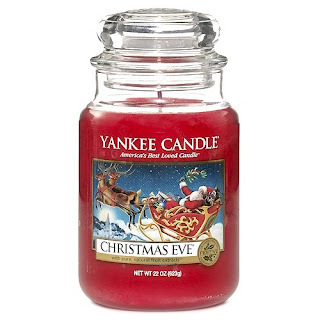 Traditional Christmas scents of a warm hearth, sugared plums, and candied fruits. The traditional design of our signature classic jar candle reflects a warm, relaxed sense of style that's always at home. My favourites are black cherry and cranberry ice! I lovvvvveeee fluffy towels scent. Defiantly my fav! Another fab prize. I love the pink sands scent bht would love a Christmassy one! I've heard so much about Yankee candles but never had the chance to try one yet. Thank you for the opportunity! Ginger Dusk is my fav. I love merry marshmallow - not sure if they still do it though - i love the xmas eve one too! I love Black Cherry. I have it here but to be honest I spend ages smelling them when I am in the shops they are just lush! I haven't tried one, but I would like to try the Berry Trifle. Baby powder and beach are my favourites would love to try the Christmas eve one and Christmas cookie. i like the sound of berry trifle. I love cherries in snow, was lucky enough to be given it last year as a present and it was gorgeous! I love the sicilian lemon one, but all the christmas ones are lush! Black cherry is my favourite. It smells amazing! Cosy by the Fire sounds perfect!! Soft Blanket is my Favourite such a delicate light fragrance. I'm a big fan of Yankee and I love the lemon scented ones. I'd love to try the Orange Splash. Cappuccino Truffle - smells good enough to eat. It is so hard to pick a favourite scent because there are so many delicious ones and it really does depend on my mood. I am burning the camomile tea one at the moment and really enjoying that scent. I've tried Clean Cotton and it was very nice. Really love Yankee Candles and Snow in Love is a favourite. I love Cosy by the Fire and one lit right now! I've tried fresh cut roses before, but I would love to try baby powder! I love the 'A Child's Wish' one! I've never tried Yankee Candles, and think Amber Moon sounds like it smells lovely, and really like the name Winter Glow.